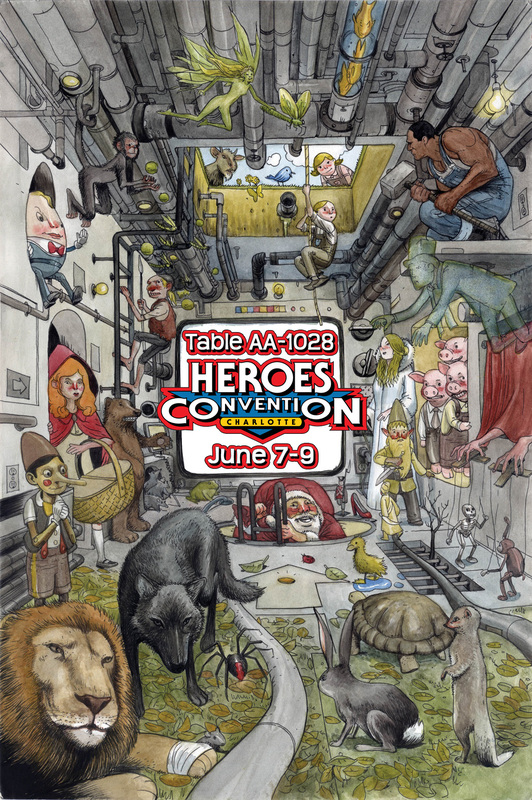 Locust Moon’s CHRIS STEVENS, JOSH O’NEILL, and ANDREW CARL are in Charlotte, North Carolina this weekend for the city’s beloved HEROESCON. We’ll be selling books (ONCE UPON A TIME MACHINE!) and beautiful prints, signing anything and everything, giving away nice free stuff, and they’ll even have a few little teasers for upcoming books that you’ll only be able to see in person. This entry was posted in Conventions and tagged convention, heroes. Bookmark the permalink.